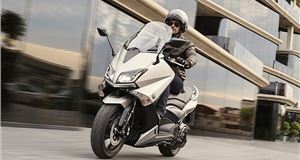 We’ll admit to a certain pang of nerves when trying out the Kymco X-Town 300i ABS. Not because of any worries about riding conditions but because its predecessor, the Downtown, was such a solid all-rounder. Would this new Euro4 emissions-friendly model be, well, a bit too sensible? Any such concerns were dispelled within the first few hundred metres of our first journey on the X-Town. 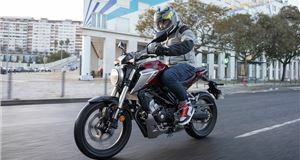 Yes, the A2 licence-friendly 276cc single-cylinder engine isn’t quite as zippy as some off the mark – we’re thinking Honda SH300i and Yamaha XMAX from the same class. 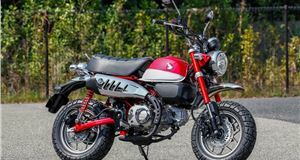 Yet, on the move, this cleaner, greener 24PS Kymco never feels left behind or short on puff. Around town, where this Maxi scooter feels very at home, it still has more than sufficient unleaded in its pencil to get ahead of other traffic away from the lights. Keep the throttle open wide and it will easily surge up to 30-, 40 and 50mph speed limits, so urban riding is an assured, happy experience. On more open roads, the X-Town 300i is equally at ease and we found its smooth power delivery made is ideal for rapid, fuss-free progress. 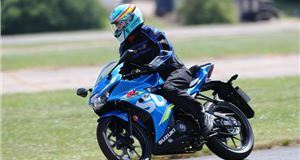 Where some in this class can give a staccato feel as they accelerate along the straights only to need lots of slowing for bends, the Kymco’s power and chassis are in pretty much perfect harmony. With little noticeable vibration from the engine, it leaves you free to enjoy the X-Town’s many other attributes. Prime among these is the superb ride quality, helped by a 14-inch front wheel. 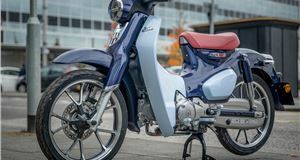 We know Maxi scooters are built to deliver greater comfort for scooter riders looking to travel further afield, but Kymco has raised this to another playing field altogether with the plushness of the 300i. Over any of the hundreds of miles we rode it across all manner of pockmarked roads, never once did we feel the suspension jolt, bottom out or feel in any way at a loss as how to deal with the situation. Composure like that is what gives you the confidence to string together winding roads and it also means riding in town is reassuringly simple. Our only slight criticism is when using the 260mm twin front floating disc brakes in isolation it could feel a little overwhelmed when pulling up sharply, such as when a car pulls out without indicating. Feed in a little of the single 240mm disc rear stopper and you can come to a controlled halt every time. You also have anti-lock brakes as standard, which is a welcome bonus at this price point. As for the handling, the X-Town enjoys the same easy flow through busy streets as the Downtown offered. The long wheelbase means you might not squeeze past the very tightest gaps, but the pay-off is top notch stability on faster roads. This Kymco also gives good protection to the rider thanks to a screen that’s just the right height and seat just low enough to deflect the blast over your head. The rider benefits from a sculpted seat base that means even those with a shorter inside leg measurement can get a foot down for stability. A broad foot board helps comfort on longer trips and offers good protection from the weather, while under the seat lies one of the largest storage bins we’ve seen, with enough room for two full-face helmets. It’s just a shame it’s not shaped a little more conveniently for holding bigger rucksacks. As for the pillion, there’s ample padding in the seat and grab handles that also form a mount for a top box. More storage is offered by the glovebox in the front fairing that comes with a USB port to charge your phone as you ride. Above this resides the clean-cut dash display, with speedo on the left and a rev counter to the right. We’re not convinced you need a clock for engine revs on a CVT-equipped scooter, but it adds to the grown-up feel of the X-Town. In between these two round dials is a digital display for the usual array of trip information, fuel, temperature and time. Then, at either end of the handle bars, are span-adjustable brake levers so you can set them to the right reach for you. Details like this are what elevate the Kymco above the herd, but when you can have all of this for less money than all of its major rivals, the X-Town makes a compelling case for itself. Then you add in other costs to the equation, like 71.3mpg average consumption and servicing every 6000 miles instead of half that for many competitors. Altogether, it puts the Kymco X-Town 300i ABS firmly at the head of its class and means you never have to worry about choosing this Maxi scooter. The Kymco X-Town 300i ABS is on sale now. 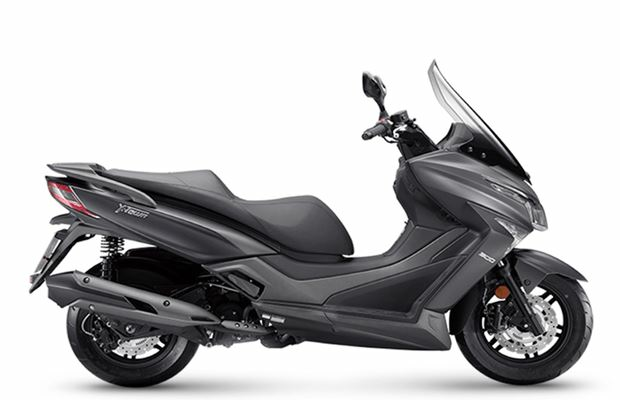 Kymco X-Town 300i ABS: Top speed 80mph (est). Fuel consumption 71.3mpg (est). VED £41.